The Mini Prism Mono Pod Kit forms a stable base with your SECO 6000-Series Mini Prism (sold separately). The kit is easy to set up and can be used by just one person. 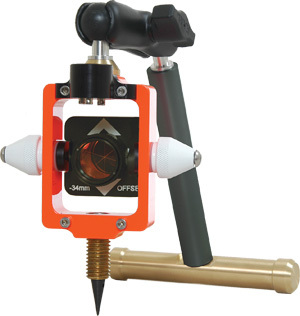 It's ideal for: construction surveys, inspections, asbuilts, and many other applications. Add a standard 5/8 x 11 extension to the kit to achieve heights to four feet.